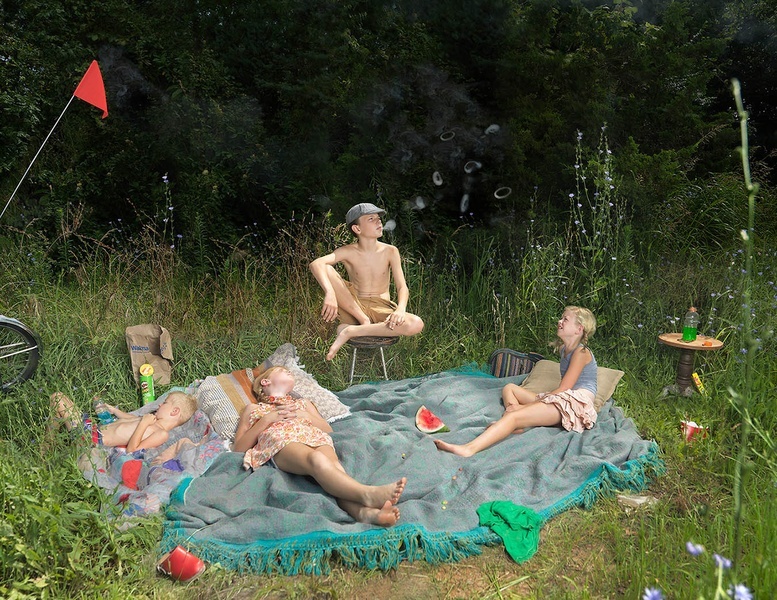 photo-eye Gallery is pleased to introduce three new works by Julie Blackmon. 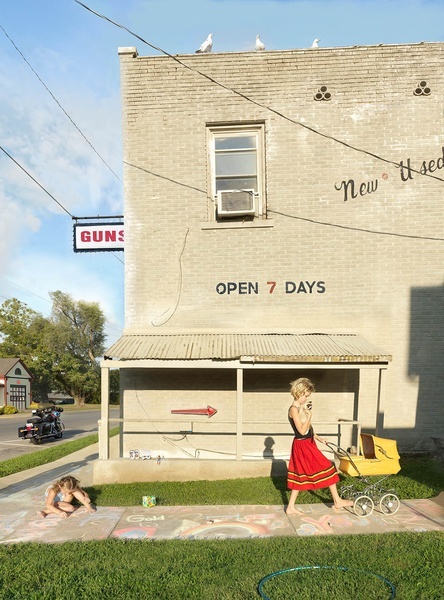 According to the Los Angeles Times, Blackmon's images are “absorbing, meticulously orchestrated slices of ethnographic theater ... that abound with tender humor but also shrewdly subtle satire.” Blackmon's works have often focused on the social, cultural and familial, but the tumultuous political landscape of the United States and the world have challenged Blackmon to turn her eye to political themes for the first time – and the results make an impact. Blackmon’s latest works retain her signature combination of compelling visual allure and subtly off-kilter incidents—in some cases with a more serious edge, as the artist probes the fever dreams of a restless nation. Still hewing to her deliberately restricted, yet ever expressive, palette of subjects—jungle-gym jealousies, yard-sale intrigues and sibling smackdowns—Blackmon finds ample room to explore political developments. Print prices are accurate at the time of posting, but will change as editions sell; please contact Gallery Staff for the most current price and availability for each image listed in today's release.